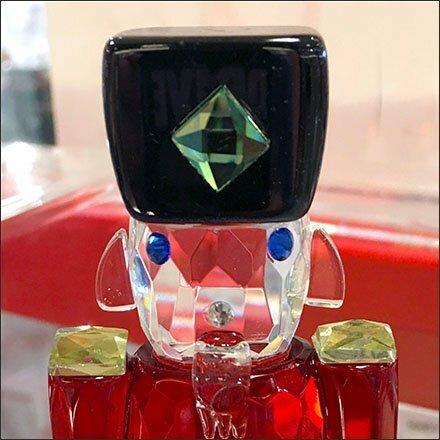 The name and this Oleg Cassini Christmas Crystal Menagerie sell themselves. And if not, then the price point will surely close the deal. All elements are front and center for handling and admiration. Boxed stock is directly below, Outfitting is simple. Sign, Acrylic Sign Holder, and clear Acrylic Risers to position the the sculptures. Consider in the Oleg Cassini Christmas Crystal Menagerie gallery of images. Seen at Boscov’s Department Store, Laurel Mall, Hazleton PA.